Pics and Kicks: yesterday looked like sharpie. because my real journal has disappeared from the face of the planet. Tonight I turned on the lamp next to my bed and thought of Shelly. About how much I really do love my lamps and that I should thank her again for buying them for me. Then I noticed that the crickets are really loud tonight and I wished they'd pipe down. . . but then I also realized that those noisy crickets mean Summer which equals REAL time with my kids, so I apologized to the crickets in my head for thinking bad things about them. Then the strangest thing happened. The crickets went silent. All by themselves. Cardon, today you were cute, but terribly naughty during sacrament meeting. Thankfully, you redeemed yourself by being so concerned for the new girl during Sunday school. I love you a million. I've decided that when I refer to the Sounds of Pertussis in passing, I'm just going to refer to it as "Sounds." The word pertussis, saying it, typing it, hearing it. . . makes me feel like I'm suffocating. My stomache hurts. Probably because I'm terribly hungry. but more likely because of all the junk (read: "CRAP") I've been ingesting like a garbage disposal since New York. Unacceptable. Ends NOW. Scouts honor. Women's Conference is coming up. I'm speaking on overcoming feelings of inadequacy. . . and I feel so inadequate. oh gol. the irony. 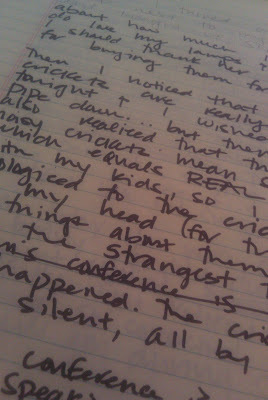 I like writing, though I'm certain I'm only moderately good at it. I think I would 100% definitely like writing less if I knew no one would ever read what I've written. It's not the writing that's therapeutic. It's the knowing that someone will be reading. Makes me less fancy now that you know that. I know. I agree. I wish my stomach would stop hurting and the fan is blowing in my eyes. I hope I take lots of beautiful pictures this week and that Ashley and I get a solid plan before she leaves to marry Alden. I'm very happy for them by the way. Richie is hard at work on his book, P.S. It's fantastic and I'm amazingly proud of him, but tonight he didn't think so. Truth be told, I think he's just hungry too. . .
Gosh I love that man. The children are all nestled all snug in their beds, so, I suppose it's time to turn off Shelly's perfect lamp and zonk. I hope my stomach feels better when I wake up in the morning. boo. you are a good writer. write a book with Richie. I'll do the translation in to portuguese :) Brazil would love you guys. Hope you feel much better soon!! And your writing is great!! Your writing is as amazingly honest and beautiful as your photographs. Multi-talented you lucky duck!! Bedtime journal blogging... Loved it. I felt like I switched off the light and quietly shut the door. xo. 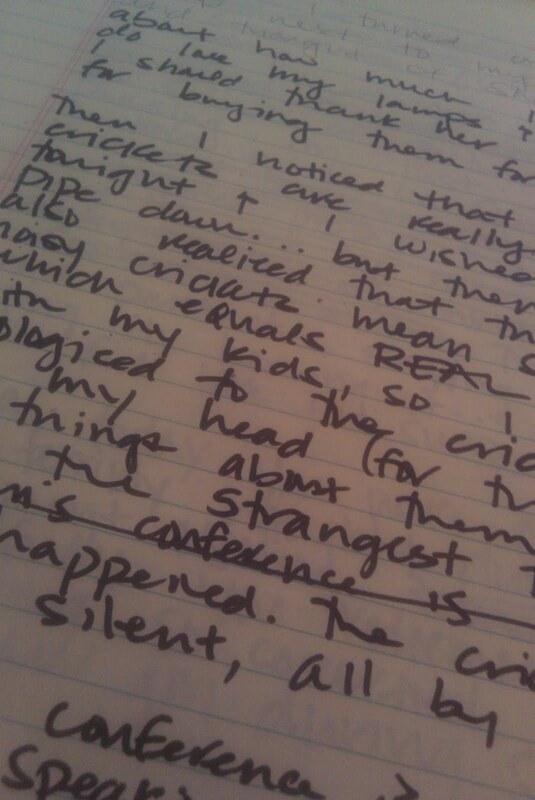 I type my journal on the computer so my hands can keep up with my mind. I imagine that someday my great-granddaughter will be having a hard time as a mommy and then read my journal and be inspired. She will be stronger because of me. That's why I write. But isn't it cool that you're doing that right NOW for all of us mommies who are having a hard time? You keep writing and I'll keep reading. I am here I listen - I rejoice with you on the good and say prayers for you when I remember (yeah I'm a little forgetful). I ennjoy your writing - your photography and the wonderful tutorials you've provided. I hope you feel better today. Natalie, Not sure if you even know who I am. a friend of your parents. I love reading your posts, tweets, and any thing else. I am just an ordinary mom and Im getting old now. Some how your writing makes me feel good inside... well except when i read the sad stuff. Then I feel bad but some how its a good bad. Your able to capture life in a elegant way. Thanks for sharing your life , your thoughts. I TOTALLY know who you are! TOTALLY! Thanks for reading my blog. And thanks for saying hello! oh and PS Freddie, aren't we facebook friends now? fancy. Your writing is awesome and I love to read it. Hope you feel better! Natalie, I love your writing. And I hope your stomach felt better this morning...better than my daughter who is missing her last day of school thanks to being sick every hour since 2am. Have a beautiful day enjoying those kiddos! Happy Summer!